Shopping at Target on any day is wonderful but hitting the after Christmas sales at Target is glorious. Just glorious! This year was no exception. From wrapping paper to gift tags to holiday decor…nothing is overlooked when the sign says 90% off. And when you find a bag of sea salt caramel baking chips, you know they are a must buy for your next cookie baking day. Which just happens to be today! Oh Target, you never disappoint. And neither will our new Sea Salt Caramel Chip Oatmeal Cookies! Happy bargaining! Happy baking!!! 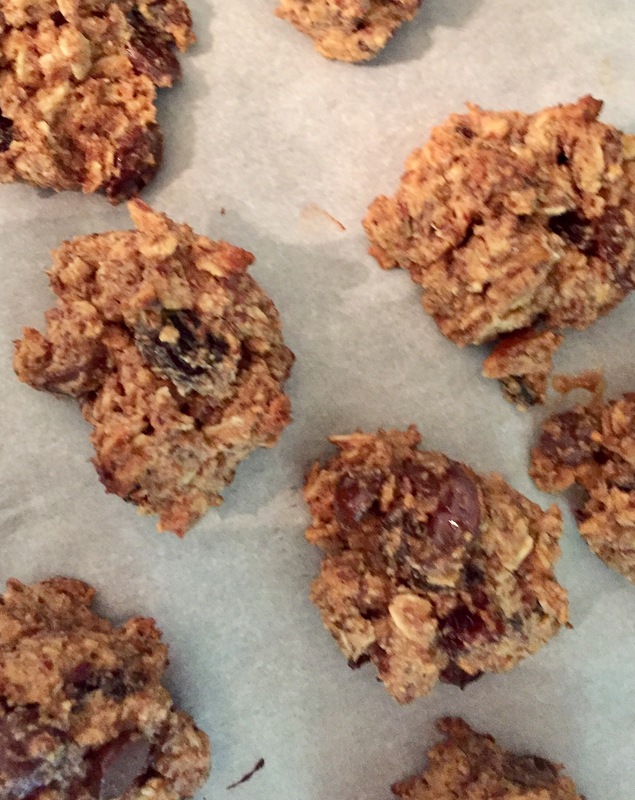 Mix up Sister Sweetly’s Favorite Oatmeal Cookie Dough. Instead of butterscotch, Heath Bits, and chocolate chips stir in sea salt caramel baking chips. Bake according to the directions on the above link. Combine Butter Flavored Crisco, brown sugar, egg whites, almond milk, and vanilla in a large bowl. Beat at medium speed until well blended. Combine oats, flour, baking soda, and salt. Mix into creamed mixture at low speed until blended. Stir in M&Ms, dark chocolate chips, and Heath bits. Drop rounded tablespoons of dough 2 inches apart onto greased baking sheet. Bake from 10-12 minutes or until lightly browned. Cool 2 minutes on baking sheet. Allow to cool on wire rack. Be grateful and share! The best part of our birthday is sharing it together…and the CAKE! Instead of letting someone else make it for us we decided to make our own. Greatest decision ever! Oatmeal Cookie Brownie Birthday Cake! 1/2 our favorite cookie dough + 1/2 our favorite brownie batter = 1 big birthday wish come true! • enjoy while singing Happy Birthday if it’s your birthday too! In another bowl, whisk together wet ingredients. Drop the dough into 12 even mounds on a parchment paper lined baking sheet. We’ve delayed our usual Saturday treat day in honor of baking up a special goodie for the wonderful dads in our lives. So in honor of these dear old dads we have decided to oblige them with fresh baked peach crisp just in time for Father’s Day. Warm, sweet, and peachy keen…just like these dads. Happy Father’s Day! Arrange peaches evenly in an 8×8-inch baking dish. Mix flour, brown sugar, butter, cinnamon, and salt in a bowl using a pastry cutter until evenly crumbled. Fold oats into flour mixture; sprinkle and press topping into peaches. Bake in the preheated oven until topping is lightly browned, about 30 minutes.